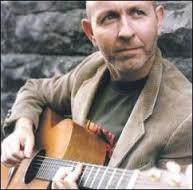 Long hailed as one of Ireland’s leading songwriters and performers, Kieran Goss’s music has won him fans across the globe. But if his songs have made him a star, his live shows have made him a legend – live on stage is where Kieran Goss really shines. His shows are a testament not only to a catalogue of beautifully melodic and well crafted songs, but also proof that Kieran is an engaging and captivating performer.